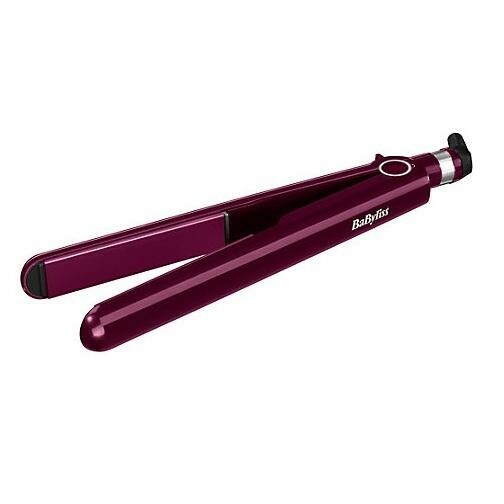 Achieve salon straight hair with the BaByliss 2198KU Pro 235 Elegance Hair Straightener 3 Heat Settings, the nano-ceramic plates enable you to effortlessly glide the straightener through your hair without snagging and the advanced ceramic heating system will have your straightener ready to use in 15 seconds. The 3 temperature settings enable you to style your hair at the correct temperature without burning your hair and the curved barrel enables you to create beautiful curls as well as straight hair. The 3 metre salon swivel cord enables you to easily manoeuvre the straightener around your head and the auto off function is a great safety feature that will turn the straightener off after 72 minutes.